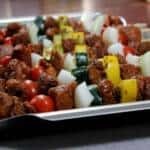 Smoked sirloin shish kabobs are tender morsels of marinated sirloin steak threaded onto a skewer with other delicious and colorful vegetables. 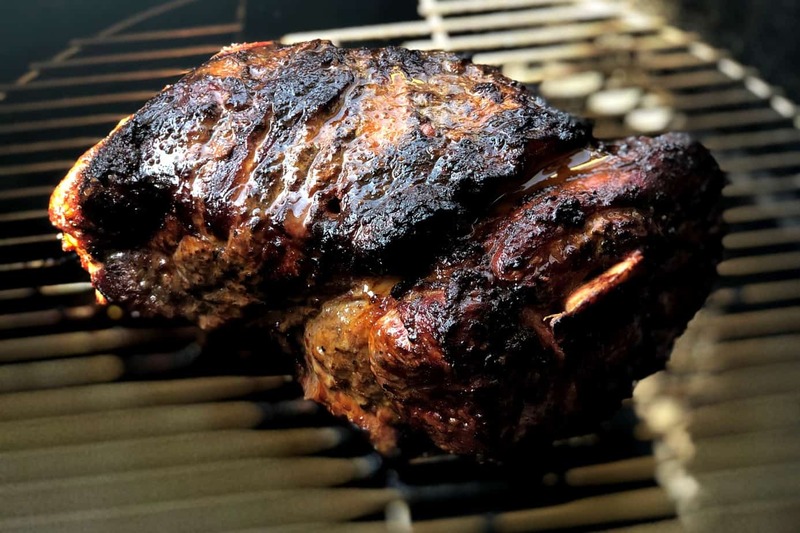 My original rub recipe (purchase recipes here) is used within the marinade to season the sirloin steak while the Texas style rub recipe is used to bring out the flavor of the fresh vegetables. I like to make this first thing so it can be getting good and happy while the steak is getting cut up. This recipe is enough to marinade about 3-4 cut up steaks. If you are doing more than that, just double the recipe so you'll have plenty. Place all of the ingredients into a mixing bowl and stir well to combine. My 4 medium sized steaks were a little over ½ inch thick. I didn't measure or stress.. I just cut them into about 3 strips each and then further into pieces about 1-inch wide. Put the steak into a zip top bag for the marinating process. This is where the marinade does it's magic with the steak and I recommend you allow at least 4 hours for this but overnight would be even better. 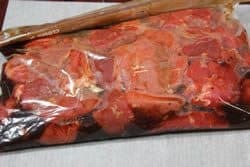 Pour that delicious marinade over the top of the steak pieces and seal up the bag pressing the air out of the top of the bag as you go. Place the bag of marinating meat into the fridge. 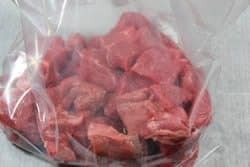 About once per hour, move the meat around in the bag to unsettle the ingredients inside the bag and to make sure that everything is getting equal time. 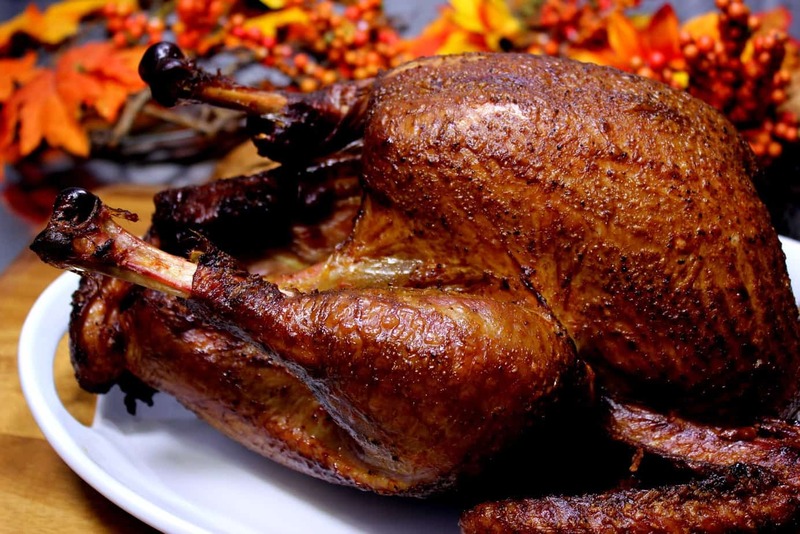 You can do this when the marinating process is almost complete. Peel and quarter the onions then further separate them into stacks of about 3-4 layers as shown. 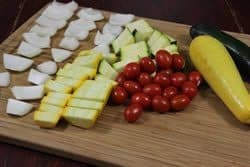 Cut the squash in half length-wise then into pieces about ½ inch wide. Put the squash pieces in a bowl and coat thoroughly with my Texas style rub (purchase recipes here). 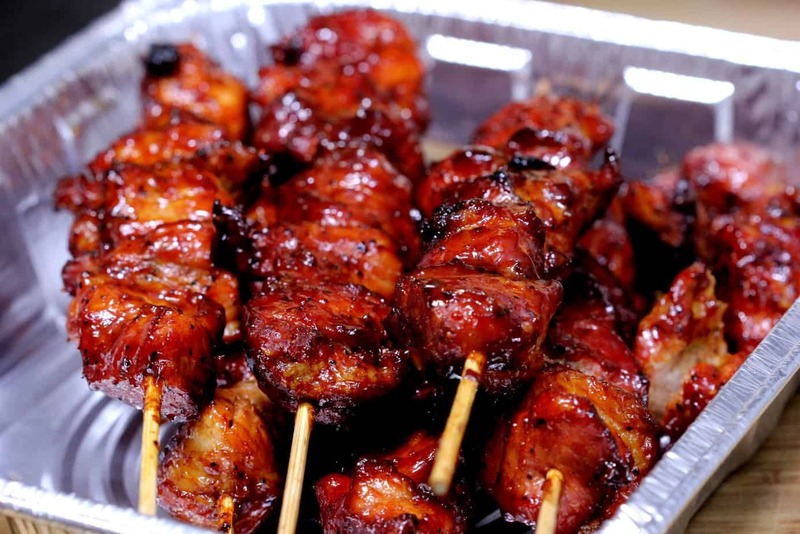 Once the meat is finished marinating, take it out of the fridge and pour off the marinade. The marinade can be discarded. 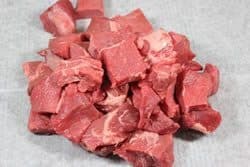 Pour the steak pieces onto a plate or bowl. 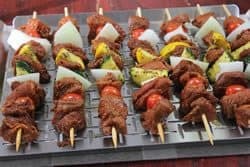 Thread the meat and vegetables onto long wooden skewers in a random pattern or you can do them all the same like I did. You can use any combination you like but this worked well for me. As the shish kabobs where finished, I placed them on a Weber grill pan. I usually use Bradley racks for these but this time I used my new set of Weber grill pans and they worked very well for this purpose. 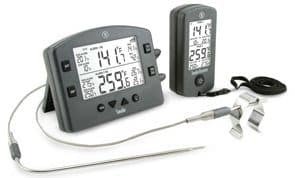 Setup your smoker for cooking at about 230°F with indirect heat as usual. 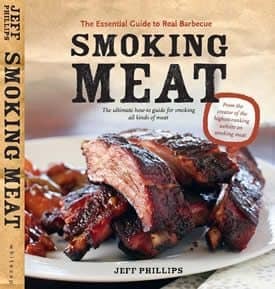 I recommend oak or pecan smoking wood if you have it available or any good smoking wood will work well. If your smoker utilizes a water pan, I recommend using it to create a moist cooking environment. 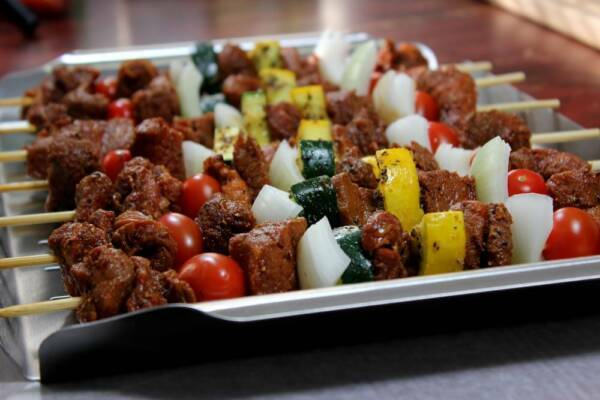 Once the smoker is ready, place the skewers of meat and vegetables on the smoker grate and close the door. Keep a light smoke going for about 20 to 30 minutes. After that it can be finished with heat only. Total cooking time should be between 45-60 minutes. 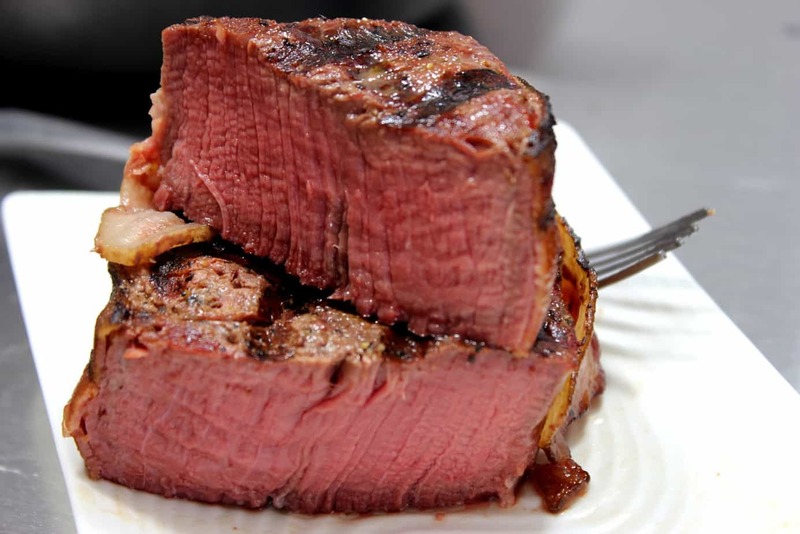 Watch the meat carefully and once it reaches a good medium rare, it is finished and should be removed from the heat right away. 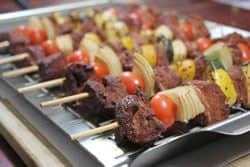 Serve these smoked sirloin shish kabobs right away while they are still warm for the best results. 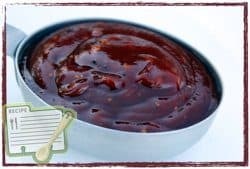 You can serve warmed barbecue sauce on the side for those who like to dip. Smoked sirloin shish kabobs are tender morsels of marinated sirloin steak threaded onto a skewer with other delicious and colorful vegetables. 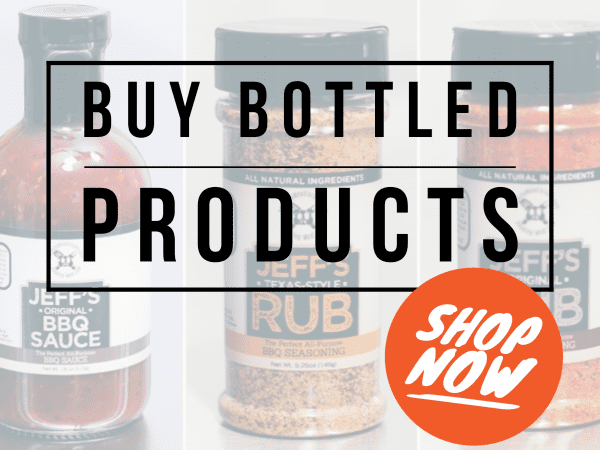 My original rub recipe is used within the marinade to season the sirloin steak while the Texas style rub recipe is used to bring out the flavor of the fresh vegetables. Make the steak marinade by placing all of the following ingredients into a bowl and stirring to combine: ¾ cup lemon lime soda (Sprite, 7-Up, etc. 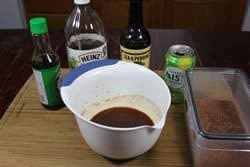 ), ¼ cup soy sauce (low sodium is best), 3 TBS apple cider vinegar, 2 TBS Worcestershire sauce, 2 TBS Jeff's original rub recipe. 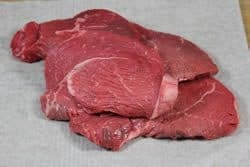 Lay the steaks onto a cutting board and cut into strips then into pieces that are about 1-inch wide. Put the steak pieces into a zip top bag and pour the steak marinade over the pieces to cover. Seal the bag and place in the fridge for 4 hours or overnight. While the meat is marinating, cut up the onions and squash so they are sized to fit onto a skewer. 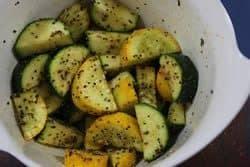 Place the squash into a bowl and coat generously with my Texas style rub recipe. 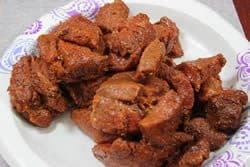 When the meat is finished marinating, take it out of the fridge and discard the liquid in the bag. Pour the pieces of meat into a plate. Thread the meat and vegetables in alternating patterns onto long skewers and place onto a grilling pan or Bradley rack. 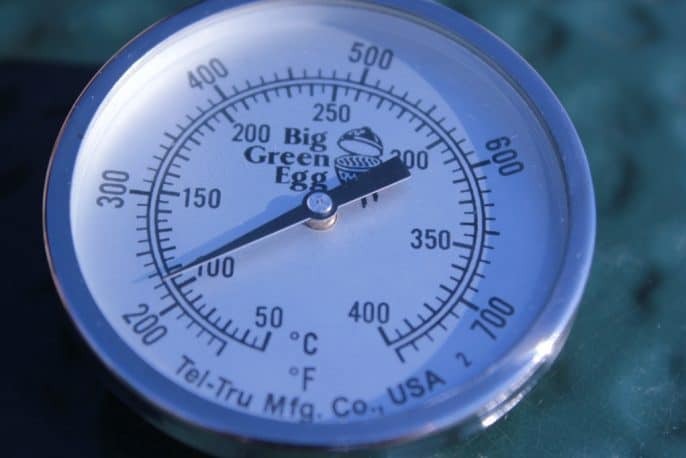 Set up your smoker for cooking at about 230°F using indirect heat. Smoke cook the skewers for about 45-60 minutes or until the meat reaches 140°F in the thickest part. Do you think its necessary to use the grill pans or sheets or can I just out the skewers on my smoker’s racks? 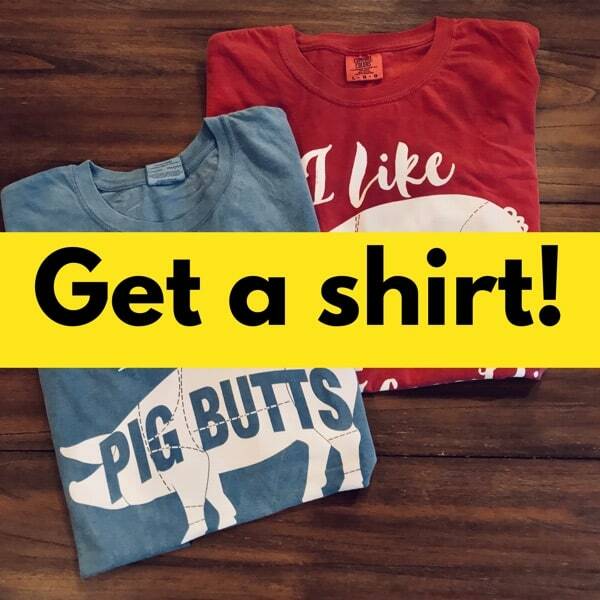 You can definitely lay these right on the smoker grates if you want to. 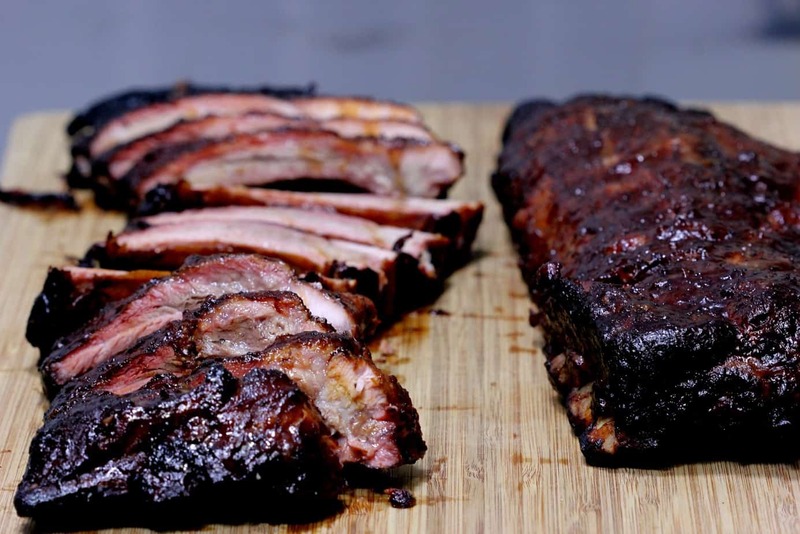 I often use pans and racks to help keep my smoker grates a little cleaner and/or to make them easy to move from kitchen to smoker but it’s not something you have to do. 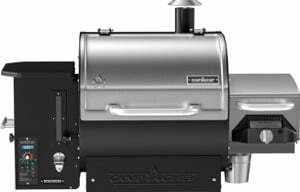 Which electric pellet smokers do you recommend? 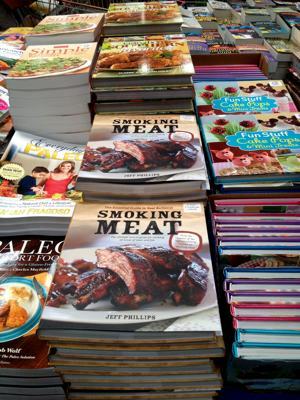 Jeff – I purchased your book, and it has been fantastic so far. 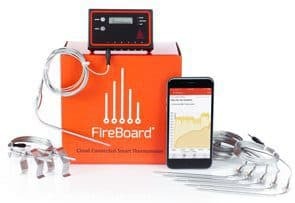 Great guidance and recipes! 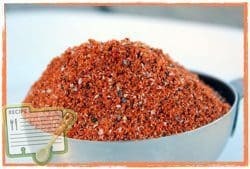 I am curious, is your original rub recipe similar to the Big Bald Rub? That was fantastic on some St. Louis style ribs! Don, Yes, the Big Bald rub is similar enough to my original rub recipe that it can be used interchangeably in most cases.